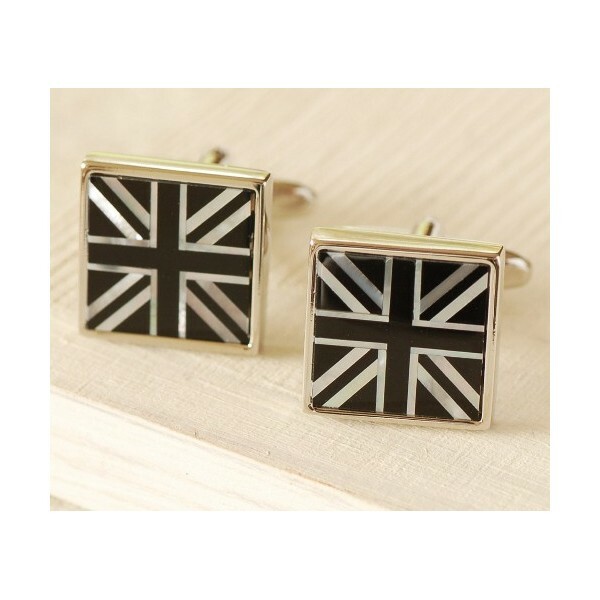 Elegant and stylish - we can imagine James Bond wearing these! Subtlely patriotic. Made from black glass and mother of pearl. Gift boxed. Measure 1.5cm x 1.5cm square and would look sensational with a dinner jacket or dark suit or just a plain coloured shirt. 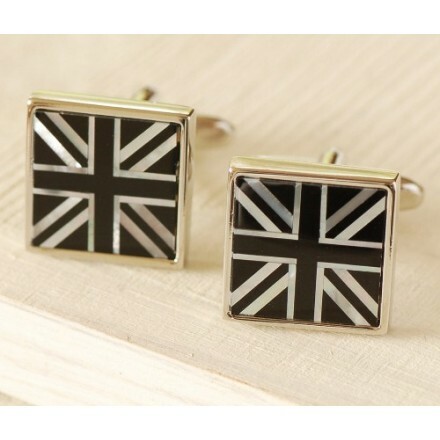 Come gift boxed, we loved these as they are a very subtle version of the much loved Union Jack design. Team it up with one of our cufflink boxes for an extra special present. Backs made from steel plated brass. swivel mechanism.